home then this will put you at a sever disadvantage. You can prequalify with a lender very quickly by giving them some basic information about yourself and your financial situation including income and debts. If you don't know of a good lender the Homes For Sale In ABQ.com team would be happy to recommend highly qualified lenders that we have worked with and would be happy to help you. Some lenders will even go to the extent of giving you a loan commitment which may be the determining factor when you are competing with other buyers that only have a prequalification. If you have questions about the difference we would be happy to explain. The most desirable homes are going to attract a lot of attention. The www.HomesForSaleInABQ.com website give you a huge advantage in that it displays every available property that is for sale. In addition, if you set up a search with your personalized criteria we will email you whenever a new home comes on the market that fits that criteria. When you see a home that interests you simply click the "Schedule A Showing" link on the home page and we will set up a showing for you right away. You Homes For Sale In ABQ.com REALTOR can help guide you in preparing an offer that is appealing to the Seller. We represent hundreds of Buyers and Sellers and we know how to structure an offer to get you an advantage over other Buyers with less experienced and savvy real estate agents. We have worked with many of the local REALTORS and having good working relationships with them can often be the difference between the Seller picking your offer or another offer. We will work with the listing agent to find out any information we can to give you the advantage. Best of luck with the Spring buying season! If we can help in any way please let us know. Pretty much every Buyer performs a home inspection before purchasing a new home right? True, but you don't have to wait to find out everything about a home until you have your inspection. There are at least 5 things you should look at even before you make an offer on a home. This will save you a lot of time and the heartache of falling in love with a home only to find out it is in need of serious repairs. The first thing to look for or rather smell for in your potential new home is mold. Although mold is not a major concern in Albuquerque or Rio Rancho due to how arid our climate is, it still can be an issue when the conditions are right. Make sure to use your sniffer as you go through the home and pay attention to musty or damp smelling areas. Of special concern should be areas below grade, but any area can potentially have mold if there is a source of moisture. Another thing to look for is signs of pests. A good REALTOR can point out obvious signs of termite damage in a home is they know what they are looking for. Like mold, termites are also not a major source of concern in Albuquerque, Rio Rancho or the surrounding areas but there are certain areas where termites are more prevelent. A seasoned REALTOR who works in the areas you are looking can be a big help in know whether there is a history of termites in the area. Electrical wiring is also something you should look at when considering your real estate purchase. Many areas with older homes including the NE Heights area of Albuquerque have aluminum wiring. Aluminum wiring can create the potential for fire if it is not corrected in an acceptable manner. Aluminum wiring can be corrected by "pig tailing" the aluminum wiring to copper at all of the connections. Many homes have aluminum wiring and it should not be something to scare you off since it is fixable, but you do need to consider the cost of correcting it if it has not already been done. You should also look for outlets or fixtures that are not secured properly or exposed wiring. A good REALTOR can recommend a good electrician to give quotes or perform any repairs that are necessary to the electrical system. 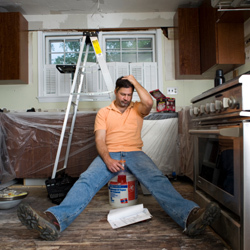 Many homeowners like to perform do-it-yourself projects around their homes. This is perfectly acceptable as long as the work performed is done in a quality workmanlike manner. Sometime however, homeowners do work that is less than quality. Look for signs of DIY projects that have been done and pay careful attention to how that may affect the function or value of the home. It cannot be stressed enough that the trained eye of a good REALTOR can be invaluable in pointing out potential problem areas since they see the common issues so often. Lastly, a major source of problems can be sewer drainage pipes. Many old homes have drain pipes that are broken or even completely collapsed. A slow draining sink or tub can be the result of clogged internal pipes that can be easily remedied or it can be the sign of a much larger problem under the home or out in the yard. A sewer scope inspection will allow you to see the inside of the pipes, but going through the home and running sinks and tubs to see how they drain will give you an initial indication of whether there is a problem. Purchasing a home is a big decision and making sure that you do your due diligence before you fall in love with the home and the clouding of your mind that can come with that is very important. Ask you REALTOR to help you in staying objective with the home and potential repairs. No home is perfect, not even new homes so don't start with an unrealistic expectation. That being said, you need to be aware of the current condition of the home, short term repairs that are needed and long term repairs that you will need to plan for. Remax Holding Inc., a Denver based real estate company with over 92,000 agents world-wide filed for a US Initial Public Offering on Friday. The initial filing showed Remax was attempting to raise $100 Million dollars although that number will probably change. With the continued recovery of the housing market nationwide and with the success of the Re/Max brand the real estate industry giant is making bold moves to stay on top. As technology has expanded throughout the real estate industry Re/Max has led the way for both real estate agents and consumers alike. In 2012 Re/Max launced the first consumer Commercial Real Estate website utilizing their existing relationships with MLS' all over the country to create a searchable website for consumers. Re/Max is already the most recognizable brand in real estate and the latest move will only serve to bolster their international presense. Locally, Re/Max Alliance REALTORS located in the NE Heights area of Albuquerque has continued its dominance of the local market. Out Selling the average local real estate agent over 3 to 1 Re/Max Alliance REALTORS has proven to be one of the top real estate brokerages in the greater Albuquerque area. 8th Wonder of the World in New Mexico? A New Mexico landmark is in the running for the 8th wonder of the world. For residents of the state or those traveling through visit one of the seven landmarks entered in the competition. Once you’ve seen it vote for your favorite and see if it wins the coveted title. Virtualtourist.com created the competition which runs until September 30th. The site picked many places from all over the world that they deemed wonderful. The New Mexico landmarks chosen are: Taos Pueblo, Bandelier National Monument, Valles Caldera National Preserve, White Sands National Monument and three Santa Fe landmarks: Canyon Road, Palace of the Governors, and the Loretta Chapel Miraculous Staircase. Taos Pueblo: The adobe buildings were constructed between 1000 and 1450 A.D. according to www.taospueblo.com. A World Heritage Site and National Historic Landmark. It’s open for visitors daily from 8-4:30 p.m.
Bandelier National Monument: Over 33,000 acres of canyons and mesas. The land contains petroglyphs (prehistoric drawings on the rocks), dwellings carved out of the cliffs and more, according to the National Park Service. Hours and directions can be found at www.nps.gov/band. Valles Caldera National Preserve: An expansive view of beautiful country in a volcanic caldera. Learn more at www.vallescaldera.gov. White Sands National Monument: Bring a sled or snowboard and slide down a large hill of gypsum. The gypsum dunes cover the landscape for miles. See pictures and find information at www.nps.gov/whsa/. Canyon Road: The half mile road provides a plethora of galleries, boutiques and restaurants. To find specific information go to www.visitcanyonroad.com. Palace of the Governors: New Mexico’s history museum was once belonged to the government of Spain. Constructed in the early 17th century the museum covers the history of Santa Fe, New Mexico and the region. For more information go to: www.palaceofthegovernors.org. Loretta Chapel Miraculous Staircase: The famous staircase comes with a story of its own. The spiral structure has no visible means of support and is believed to have been built with wooden pegs not nails according to the website. Read the story and learn more at www.lorettochapel.com/staircase.html. There is much to see in New Mexico. Homes in Albuquerque and nearby areas are not far from the potential 8th wonder. Pack a lunch and plan a day to explore the wonders of New Mexico. Summer vacation is almost over. 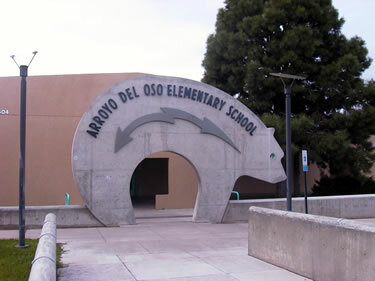 Albuquerque Public Schools begins its fall semester on August 13th. With school drawing near back to school sales are on the rise. 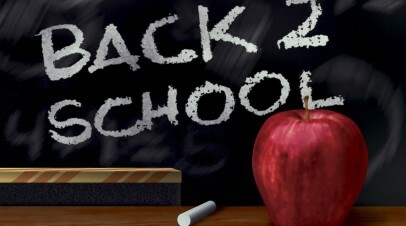 This weekend all back to school items are tax free. The New Mexico Taxation and Revenue Department has held this sale for several years. The sale slightly eases the financial burden on parents when it’s time to buy all the necessary school supplies. There are a few regulations on whether or not an item is tax free. Clothes under $100, computers under $1,000, computer hardware under $500 and school supplies under $30 qualify for tax exemption. Cell phones, MP3s and iPod’s do not qualify. The Albuquerque Public Schools website offers a complete list of tax free and non-tax free items at www.aps.edu. The sale begins Friday at 12:01 am and ends Sunday at midnight. Retailers have hosted their own back to school sales for the past few weeks. After the tax free weekend is over check stores to see if they have continuing sales. Before you start shopping your child’s school should provide you with a list of necessary supplies. Just in case APS provides a suggested list of supplies for elementary students on its website (www.aps.edu). However, it doesn’t provide a list for middle school and high school students because each school differs on its required supplies. It does encourage mid and high school students to bring a notebook and pen or pencil on the first day. Besides back to school sales summer is a great time for buying a home. With school fast approaching parents may need to speed up the house search. If you’re wanting to live within a certain school district www.homesforsaleinabq.com provides a list of Albuquerque high schools and what homes are for sale in those areas. The bottom of your closet is overflowing with books. The pile can be stacked only so high before the books need to be transferred somewhere else. You decide a book case needs to be purchased, but where should you buy it from and how much does it cost? Should you consider making it yourself? Here are some resources to make a home for your valuable stories. If you’re a make it yourself person this Old House has an article that will give you the information you need. “How to Build a Bookcase” puts the difficulty of the task at moderate and approximates a $200 - $500 price tag. The task is completed in 9 steps each illustrated with a helpful picture. Plywood is suggested rather than solid wood since it’s more affordable. After making the proper measurements the article recommends taking the wood to a lumber yard to be cut and using a circular saw for those little adjustments you need to make as you go. Purchasing an already made bookshelf is also an option. Urban Outfitters makes invisible double book shelves. The steel shelf is unseen when stacks of books are placed on it. The shelves are $19 and can be purchased online. Big Lots has small $20 bookcases. You will have to add in a few extra nails for reinforcement. A nice selection of bookcases is also available on Walmart’s website. When staging your home a bookcase is a welcoming visual and adds a little character. Stack the books in different directions: horizontally, vertically or diagonally depending on how you make the shelves. Take your books out from the bottom of your closet and display them in your newly made or purchased bookcase. New Mexico is famous for its red and green chile. The state’s tasty green chile has been recognized nationally in a recent food poll. Listed as Albuquerque green chile the spicy peppers won the title of top iconic American food. America has caught on to the craze that has existed in the state for a long time. Locals can’t do without their chile. If you’re looking for a home in New Mexico you can include chile in your search. Follow the Green Chile Cheeseburger Trail. You can find a map of the trail on www.newmexico.org. The trail takes you all over the state including Albuquerque, Bosque Farms, Los Lunas, Corrales, Placitas, Rio Rancho and Bernalillo. Check out some listings and enjoy a delicious meal. The delectable cheeseburger was created, according to www.newmexico.org, when a New Mexican diner owner ran out of dishes to put the green chile in as a side dish. He decided to put the chile on the cheese and the idea spread. You can even get the dish at McDonald’s. The popularity of the peppers has spread to NPR and the Los Angeles Times. 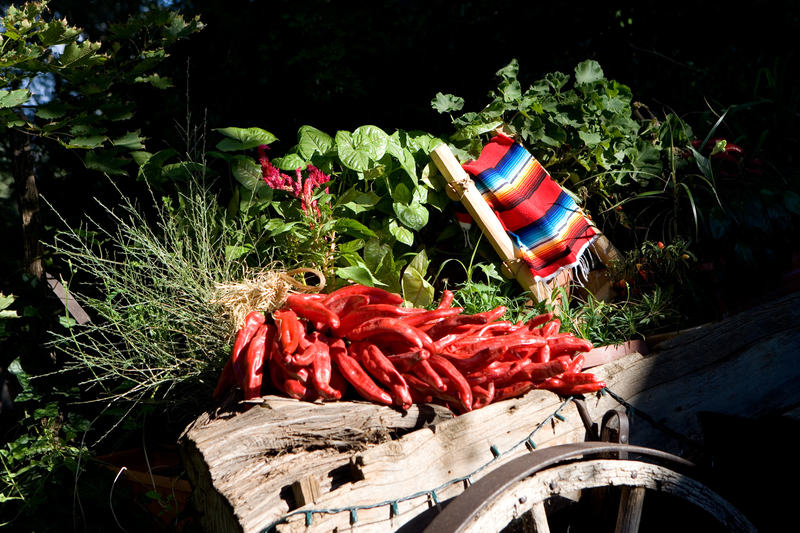 Each article makes sure readers know that New Mexican chile stands alone. No other chile can compare. The enchanted land of New Mexico is full of pleasant sights, sounds and tastes! Speak to your REALTOR about finding your dream home here and a restaurant nearby that serves chile. The New Mexico Forestry Department is encouraging conservation through its low cost seedling sale. The seedlings are taken from 50 different species and are available for purchase through October 4th. Interested homeowners need to make sure they meet purchase restrictions that include plot size and tree use. Homeowners in Tijeras and Placitas are excellent candidates for the sale due to the availability of acreage. 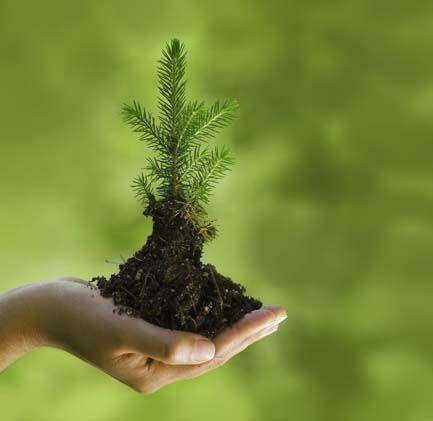 In order to purchase the seedlings you must have at least an acre of New Mexico land and use the trees for one of the following purposes: reforestation, erosion control, windbreaks, or Christmas tree plantations. The seedlings come in small containers, and are sold in the fall to allow the trees to establish roots during the winter and flourish in the spring. It’s best to plant the seedlings before the winter frost comes. In the spring you can see Ponderosa pine, Douglas fir, Arizona Sycamore or one of the 46 other options growing in your yard. The trees can be ordered online and picked up at one of the 11 distribution points, or a UPS shipment can be made at no extra charge. Purchase restrictions also include a minimum number of trees depending on the type. Information on how to plant the seedlings, care for them and all the information from this post is available on the forestry website at http://www.emnrd.state.nm.us/SFD/. Add a little bit of green to your New Mexico property and enjoy growing and seeing your seedlings come to life. 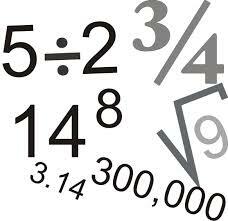 The basic arithmetic you learned in elementary school is of great value as an adult. Understanding the numbers will help prevent defaulting on a loan and foreclosure. Hard times hit even the most money conscious people, but knowing your budget and how prices will affect you is crucial in staying afloat when those times come. CNN Money recently published an article about a study on the connection between math skills and foreclosures. According to the article, “Bad at Math? You’re More Likely to Lose Your Home” people that had poor math skills were more likely to default on their mortgage. The article proposes that those unskilled with numbers tend to be financially irresponsible. 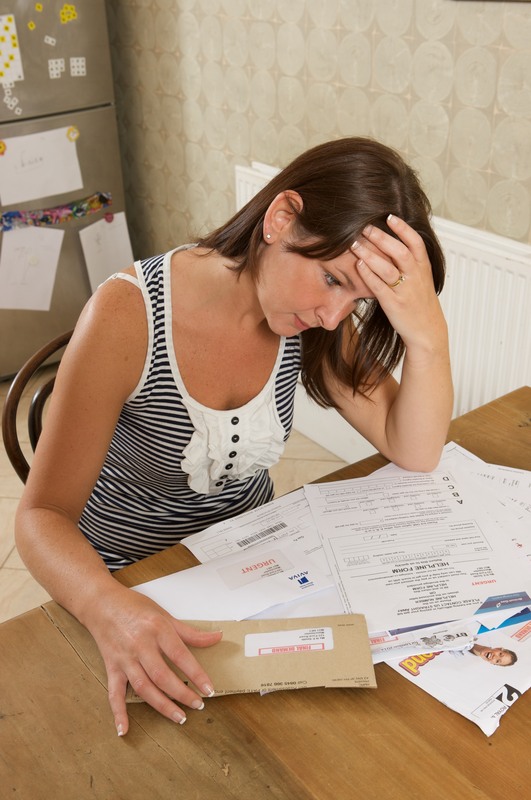 Not budgeting and planning ahead for possible income loss or economic hardship makes keeping a mortgage very difficult. Not everyone is math oriented and numbers can be extremely confusing. Seeking help from a budget counselor or enlisting the help of friends who are good at math are good solutions. Mortgage calculators are available online and your REALTOR can give you an estimated monthly payment. CNN Money also has a solution with its Money 101 page that provides information on making a budget, saving, investing and more. Speak to your REALTOR about price ranges and monthly payments. He will find you a home within the boundaries you set to make sure that you are comfortable with your monthly payment. After you’ve bought the dream home reality quickly enters with leaky faucets or little renovations that need to be done. Questions about how to fix things and what to look for soon occupy your thoughts. Resources are available to answer those questions and make your life a little simpler. This Old House compiled 47 tips to keep your home running. That leaky faucet? The article explains that a new washer may be all you need, and it tells you how to replace it. Hanging pictures? You can use one of those double back tape hangers. If you need to use a nail make sure it’s in a stud. According to the article studs are usually spaced 16 inches apart and corners always have studs. 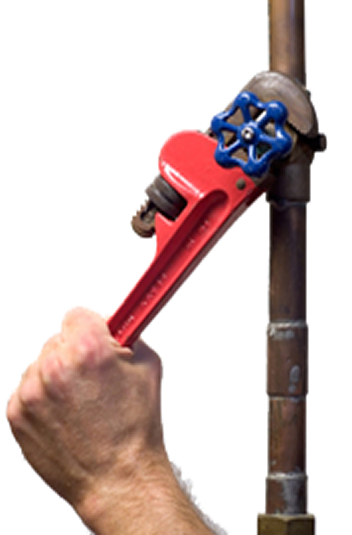 If you need to make some pipe repairs or have a suspicion that termites are invading there are answers for that too. With a new home you learn along the way. You pick up advice and learn from experience the must knows for homeowners. Advice can come from helpful articles like, “10 Tips to Avoid Trouble and Keep Your Home in Good Shape.” The article by Quad-City Times advices that you know where the water shut-off is located, not to ignore the wet spot on your ceiling and keep trees away from your foundation. Settle into your dream home and make it your own. Paint the walls, hang the pictures and fix the leaky faucets. Enjoy your new home and all the knowledge you’ll gain about homeownership during your stay.